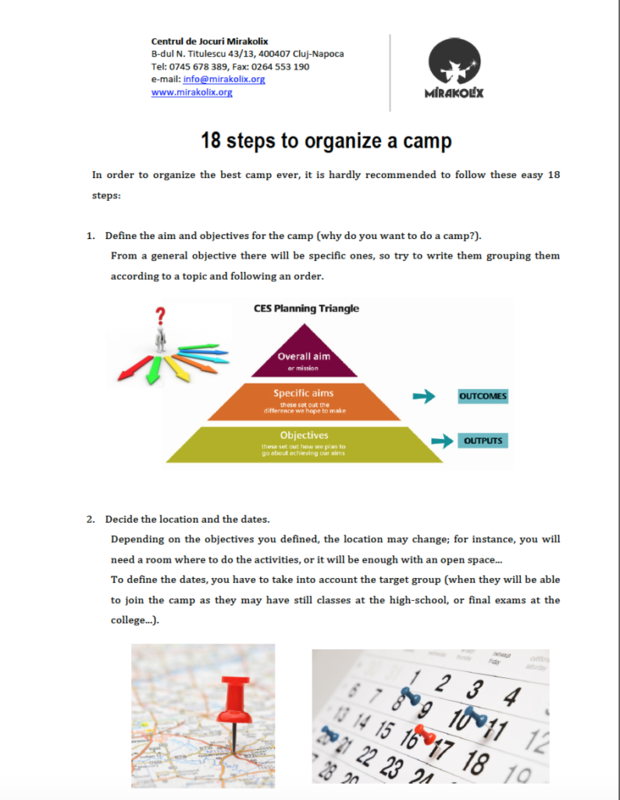 A useful material about some important steps in the preparation of a youth camp, which was created by Veronica Peral Galvez from Spain (former EVS volunteer and coordinator of the youth camp Festcamp Ceva de Vară). The material can be used by young people, who are eager to organise a camp, but do not know from where and with what to start. If you have any suggestions or questions, please contact us. This useful activity resource was created by one of the international volunteers (Veronica Peral Galvez) involved in the Inside Journey project. INSIDE JOURNEY project has been funded with support from the European Commission. This communication reflects only the views of the author, and the Commission cannot be held responsible for any use which may be made of information contained herein. This entry was posted in Materialien für verschiedene Aktivitäten, Ressourcen. Bookmark the permalink.